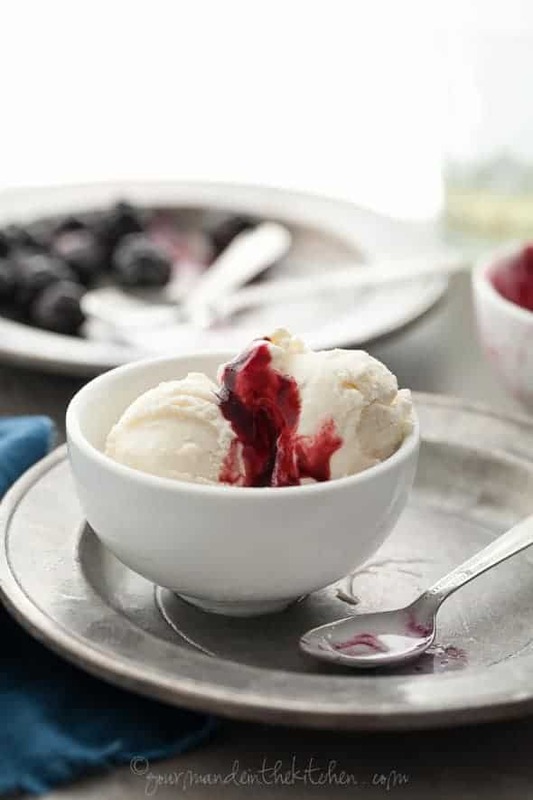 With its distinctive zippy tang and multitude of beneficial active cultures, this lemony frozen kefir with blackberry coulis is a fresh take on frozen yogurt. If you’ve never had kefir, it has the same tart and slightly sour taste of yogurt and it’s that very twang that gives the base of this lemony frozen dessert its kick. In the case of this frozen kefir, what you get is the light and bright flavor of lemon with the faint floral undertone of raw wildflower honey playing off the refreshing tartness of kefir. 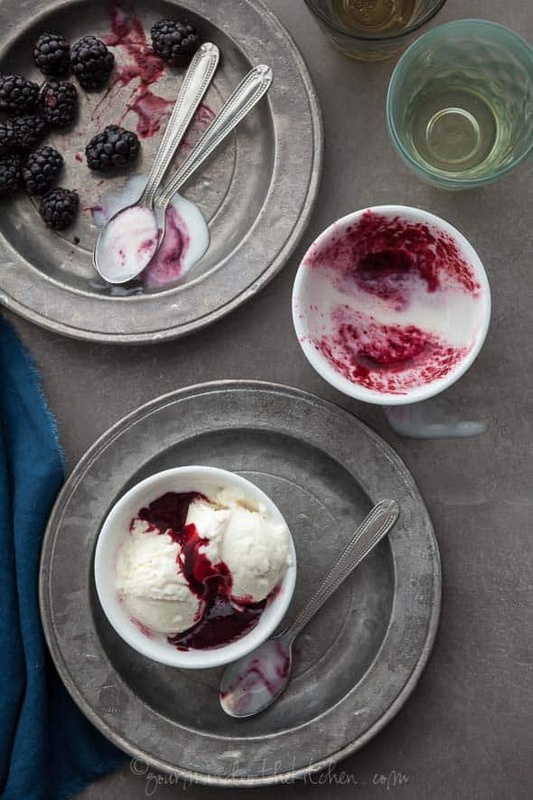 Add to that a blackberry coulis accented with a glug of crème de mure and you have yourself a fresh and vibrant warm weather dessert that’s a cinch to make. There’s no cooking required here so as to preserve all the friendly gut bacteria, vitamins in the berries and active properties of the raw honey. 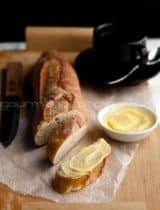 The result is cooling and lively all while remaining luxuriously smooth and creamy. You start by straining the kefir to make a thick and velvety base. Chill, pour and freeze and you are ready to go. If you keep a batch of kefir yogurt on hand the path to frosty bliss is even shorter! The yogurt-like flavor of the kefir really shines here and is further accented by the natural acidity of the lemon and blackberries. It’s just the kind of thing I crave this time of year when the heat is rising. 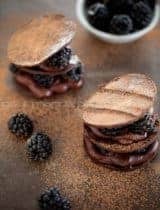 Swirl in the blackberry coulis for a marbled effect, drizzle it on top like a sundae or finish it off with fizzy water to make a float. Have you ever had kefir? Line a colander with cheesecloth (or use a yogurt cheese bag or clean tea towel). Place over a medium-sized bowl to catch the whey. In a large bowl whisk together the strained kefir (you should have about 2 cups) with 6 Tablespoons of the honey, 3 Tablespoons of the lemon juice and lemon zest. Cover and refrigerate for an half an hour to an hour, or until well chilled before churning. 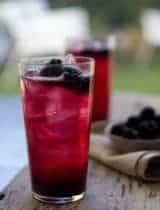 Meanwhile, place the thawed frozen blackberries with the reserved lemon juice and the rest of the honey (2 Tablespoons) in a blender or food processor and puree adding water if necessary to create a smooth sauce. Pass the puree through a fine mesh strainer to remove seeds. Add the blackberry liqueur if using and refrigerate until needed. Pour the chilled kefir mixture into the canister of an ice cream machine , and freeze according to ice cream manufacturer’s directions until thick and creamy. (If you prefer a soft serve consistency, serve immediately or pack into a freezer safe storage container and freeze until ready to serve.) 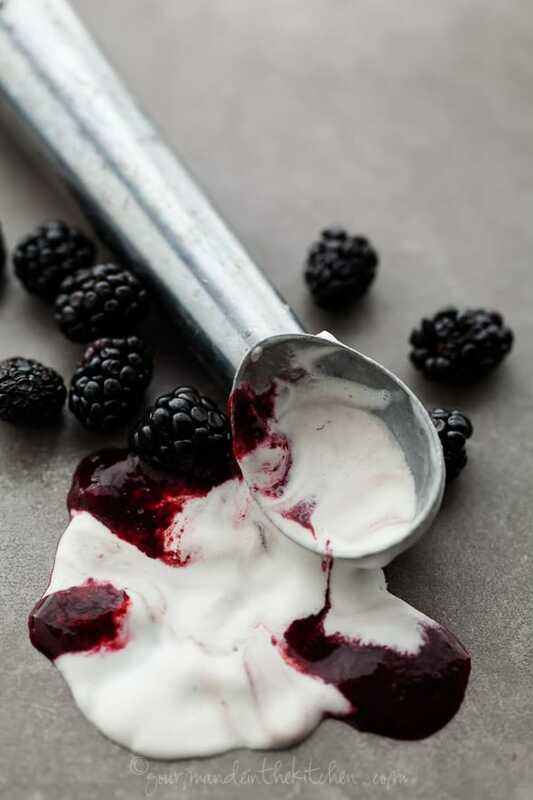 If you’d like you can layer spoonfuls of the blackberry coulis with the frozen kefir into a freezer safe container for a swirled effect or serve it separately. When ready to serve thaw slightly (for 5 or 10 minutes) before scooping for the best texture. 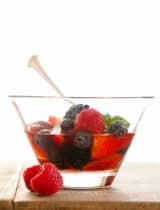 Serve with blackberry coulis and top with fresh berries. Place two small scoops of frozen kefir in a glass. Add a spoonful of blackberry sauce. Pour in sparkling water to fill. Drizzle with more blackberry sauce and top with fresh blackberries. NOTE: for a Paleo or dairy-free option use coconut milk kefir instead. I'd love a bowl of this... the deep reddish-purple coulis on the snowy kefir looks so good. This looks SO amazing... and your photos are gorgeous! I've heard of kefir and probably tasted it when I eat at Malaysian restaurants etc, but I haven't actually bought one and use it in my kitchen. I heard it has great fragrance and flavor. I am curious about milk/goatmilk/coconut milk kefir. I'd love to taste this! So refreshing look and must be deeeelicious! This looks delicious! I've never eaten kefir - but I think your recipe has convinced me to give it a try! Stunning photos too! Wow, this looks really delicious (and decadent, hard to believe it's healthy). Love photographs too, as usual. I'd love this on a warm afternoon, the blackberry coulis is gorgeous! This is stunning. 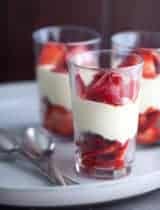 Perfect spring and summer dessert. 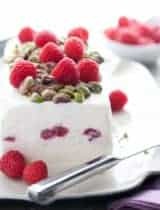 I'm pinning this to try - it looks so creamy and delicious and I love the health benefits of kefir in this frozen treat! I made this recipe earlier this morning for a dinner party that I attended tonight, and it was a smash hit. Thanks the idea! It's a keeper. How beautiful! I've had kefir before but never frozen. I can't wait to try! Thank you for sharing! 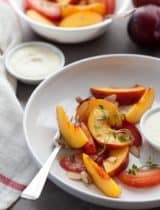 Such a gorgeous summer dessert! This sounds absolutely amazing! I use kefir in my smoothies but that's about it. I'm going to have to make room in the freezer to freeze my ice cream bowl. I can't wait to try this! What a unique way to use kefir. I've only purchased it once, but I think the next time I need to make a dessert, I'll have to give this a try. Frozen lemon kefir? Yes please!! I've never had kefir. Seen it in the stores though! I bet your substitute of coconut milk kefir with the blackberry coulis would be great too. I love coconut milk and I had no idea they transformed it into kefir! 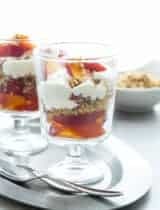 I love kefir and am going to have to make this! !